Airplanes are a sanctuary away from the rest of the world — and most Americans want to keep it that way. According to a Nielsen survey commissioned by Turkish Airlines, 89 percent of passengers want to keep airplanes free from cell phone service. Whether you’re dodging work calls or avoiding drama on the ground, the hours spent without connectivity while on a plane can be precious. [post_ads]Also, nobody in the cabin wants to listen to your conversation. 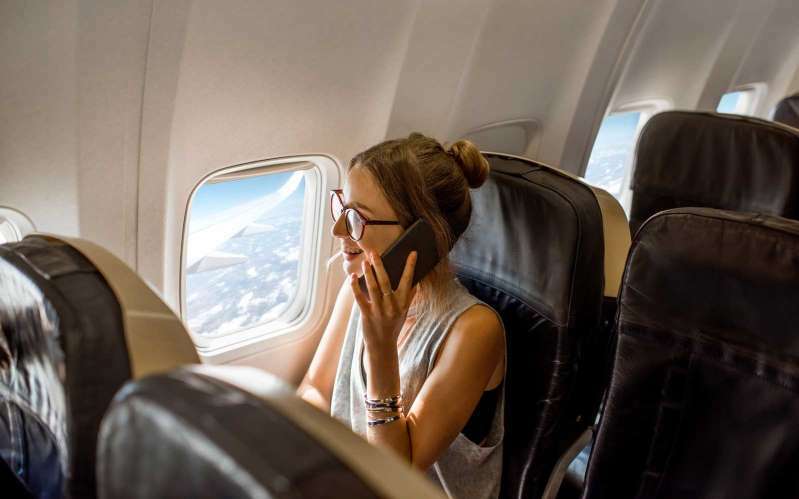 The majority of survey respondents cited “potential nuisance and disturbance” as the main reason to ban cell phone calls in the airplane cabin. While respondents may have desired cell phone connections while on a plane a few years ago, the percentage of people who oppose cell service on an aircraft has been increasing since 2015, according to the survey. But even though cell phone connectivity may not be important to current airline passengers, they expect other ways to be connected and entertained. The survey revealed that 90 percent of passengers rely on seatback entertainment and 77 percent expect to have internet service available while in flight. Elsewhere in the world, attitudes about cell phones on planes are different. Only about 51 percent of global fliers are opposed to using cell phones while on a plane. A majority of passengers from India, China and the UAE would prefer to be able to make phone calls while in flight. Luckily for Americans, the Federal Communications Commission (FCC) doesn’t want to deal with in-flight calls, either. Last year, the chairman of the FCC blocked a proposal that would have allowed voice calls to be made while in flight.